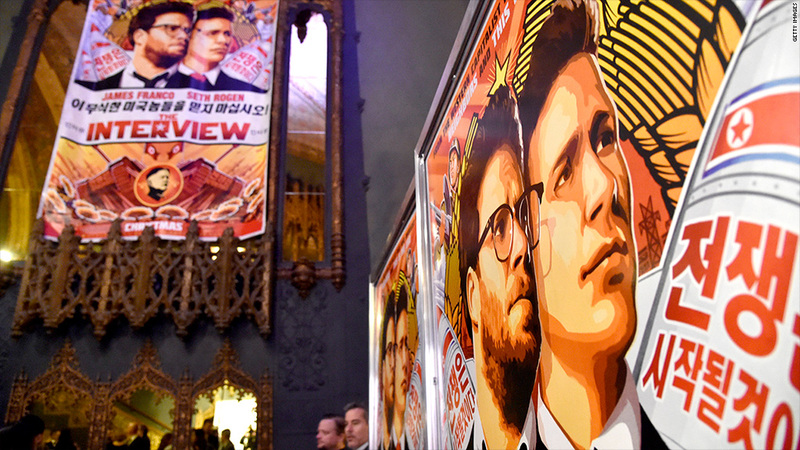 "The Interview" got into trouble thanks to the Internet. But maybe the Internet can save it, too? Or maybe not. On Wednesday night, after Sony (SNE) canceled the film's planned Christmas Day release of the controversial film, the embattled studio also discouraged speculation that it might release the film digitally. "Sony Pictures has no further release plans for the film," a studio spokesperson said in response to questions about digital distribution. It's understandable why the digital possibilities were considered. Sony could have pursued streaming services like Netflix (NFLX) and video-on-demand cable services like the one operated by Comcast (CCV). "Sony should fight fire with fire: Make 'The Interview' available online, for free, on every pirate site in the world. In HD," said Digital Disrupton author James McQuivey in a tweet to CNN's Brian Stelter. Plenty of studios release straight to streaming and pay-TV all the time, but usually with smaller, low-budget films. For instance, the sequel to the 2000 hit "Crouching Tiger, Hidden Dragon" is slated to be released simultaneously in theaters and on Netflix (NFLX) in August 2015. "The Interview" could have been a pioneer -- a landmark moment for digital distribution -- but Sony's comment on Wednesday night seemed to preempt the idea.